The Womens Rothe Midlayer Fleece from Kari Traa is big on warmth and comfort, the Kari Traa Røthe Midlayer is a highly insulating full-zip Fleece with modern design details. 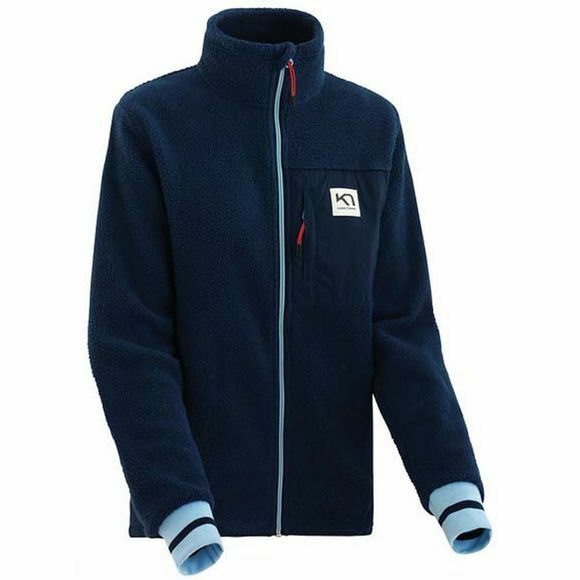 It is made from cozy, teddy Fleece and has a relaxed fit with a high collar for extra coverage. There are two big hand pockets with zips and a panel chest pocket as well as cuff sleeve endings.